Have TheFA just breached their own rules? On Friday 23rd March 2018, Sky Sports News that was in the middle of wrapping up their #SupportTheRef week posted a number of story’s surrounding Denis Wise taking the whistle and refereeing the first half of a fixture between Sky Sport News v TheFA. Why this is great to get a former professional player to take part in this activity RefSupport UK do have some comments to pass on since viewing this video. Was this game sanctioned by TheFA? The reason we ask this is simple – a Body Camera was used! Now back in December 2017, one of our Ambassadors was charged by TheFA for using a body camera in a sanctioned fixture. 1. 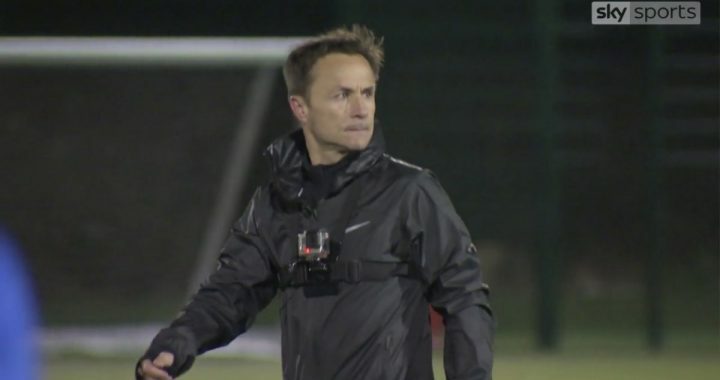 Why was Denis Wise allowed to wear a Body Camera during the half that he acted as a Referee? 2. Why was the Match Officials changed at half time unless Denis Wise gained an injury? 3. Why was there a female player taking part in the fixture? 4. Has Denis Wise passed his Basic Referees Course? 1. Why was an FA Referee that works for the Referee Department at TheFA allowed to officiate in this fixture? It would appear that if this game was sanctioned by TheFA then why would these actions be allowed to be carried out? More on this story as it develops!……..